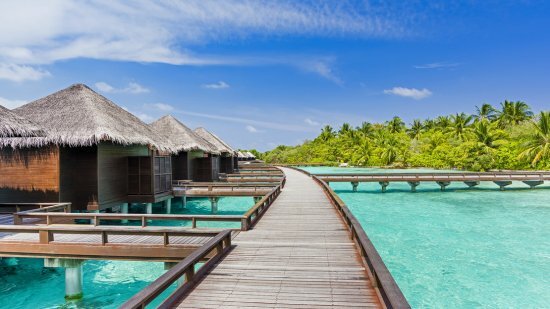 Drift away on pure white sands during a heavenly stay at the Sheraton Maldives Full Moon Resort and Spa, on the enchanting island of Furanafushi. 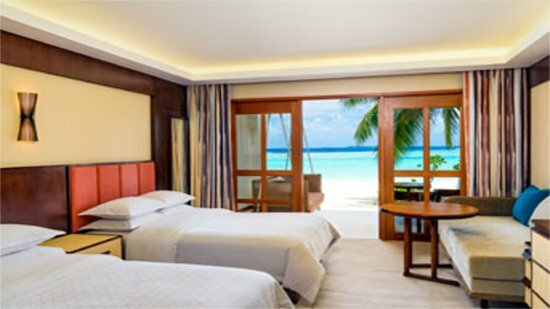 Surrounded by pristine waters and lush tropical scenery, guests can enjoy a number of superb facilities, while feeling right at home in the luxurious rooms, cottages and overwater bungalow, suites and villas. 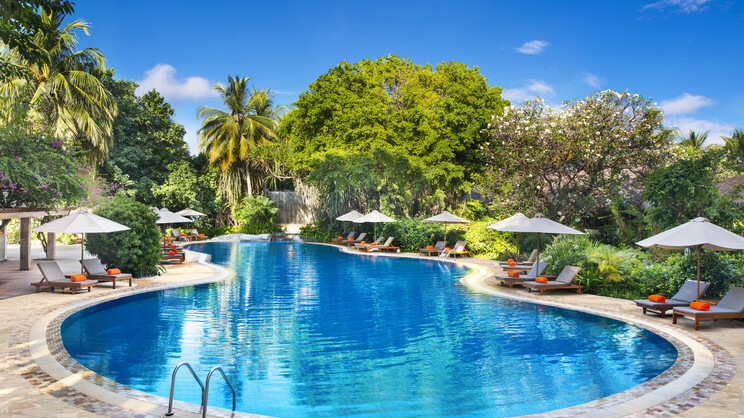 When not basking in the sun beside the turquoise lagoon, travellers can rejuvenate body and mind at the Shine Spa or take the plunge in the swimming pool. Guests can also sample a number of water sports at the resort, while a world of wonder awaits those who decide to venture beneath the waves on a diving adventure. Dining is also a pleasure at the Full Moon Resort, with a number of restaurants and cuisines to choose from, as well as a superb all-inclusive package to take advantage of. So if you’re seeking a romantic hideaway in paradise, or hoping to enjoy an unforgettable family holiday, this could be the destination that you’ve been dreaming about. 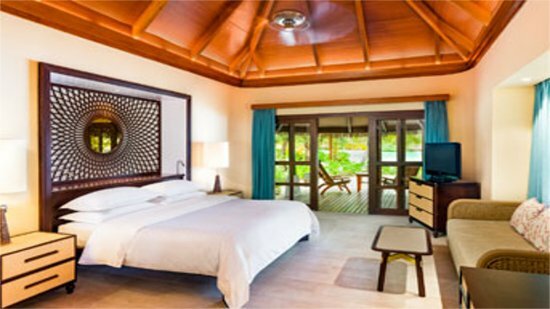 Guests will find a number of pure white beaches surrounding the Sheraton Maldives Full Moon Resort and Spa. 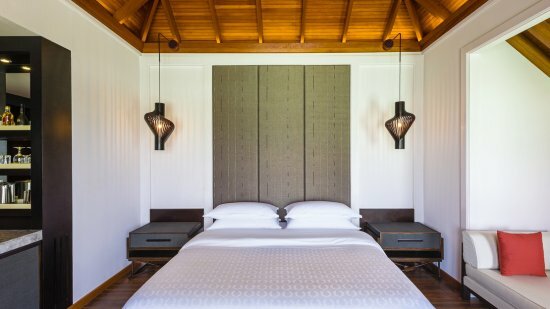 Guests can enjoy food and drinks at a number of restaurants, bars and a tea room at the Sheraton Maldives Full Moon Resort, on the island of Furanafushi. A number of excursions are also organised from the resort. Malé International Airport is approximately a 20-minute speedboat ride away from the Sheraton Maldives Full Moon Resort and Spa. 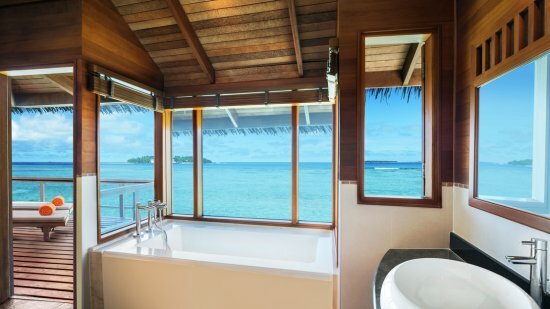 Open-air tropical bathroom with an open-air shower, a separate bathtub and Shine for Sheraton amenities.